We love the variety and quality of craftsmanship we find in vintage men’s accessories. If you’re still puzzling over what to get your favorite gentlemen, we present a few unique options from our collection of antique treasures. A relic of yesteryear, when one had to BYOM (bring your own matches), these two fully hallmarked, English-made match holders have an engravable front just waiting for a monogram. Made in the late 19th century. For the aficionado in your life, an antique accessory for your aged cigars. These Sterling silver double holders are fully hallmarked, English-made in the late 19th century. We think these would make fabulous groomsmen’s gifts. A silver washed pewter jigger balances sturdily on the ears and nose of an intricately detailed fox’s head. Based on a vintage design, we can make as many as you need and engrave all the details of your special occasion. We are pleased to present the Gray & Davis Holiday Gift Guide! We've been thinking about the perfect gifts for our favorite people, as unique as the antique jewels that suit them best. From all of us to you and yours, we wish you a warm, happy, and healthy holiday season. Victorian 14k gold bracelet pair, available in our online shop. According to these bangles, first comes love, then comes a full nest. This pair of bracelets would be a perfect gift for a momma bird-to-be. The hollow 14k gold is lightweight and easy to wear, a lovely heirloom for the next generation. Vintage 14k gold heart pendant, available in our online shop. 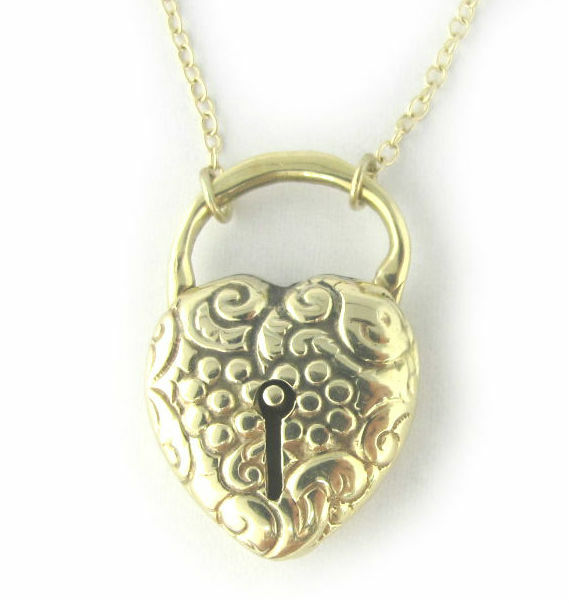 A vintage heart for your sweetheart, this 14k gold heart lock clasp swings from a custom modern 14k gold chain. Early 20th century diamond bangle bracelet, available at Gray & Davis. This gold and diamond bangle is the pinnacle of Old World elegance. 14k white gold filigree work extends from a center old European cut diamond, and tiny, twinkling old cut diamonds dot the navette-shaped open work. As was the standard when this bracelet was made (c.1900), any part that touches the skin was fashioned in yellow gold. Lovely Edwardian silver wire work is exemplary of this time period. The brooch glitters with rose cut diamonds around a central, horizontal design of bezel-set old European cut diamonds. Edwardian diamond brooch, available in our online shop. Edwardian paste earrings, available in our online shop. I can’t believe it’s not diamonds! These dancing dangle earrings are set with faceted glass “paste” stones, an antique diamond simulant. Made in the romantic Belle Époque era around the turn-of-the-century, the pastes are set in silver with 14k gold shepherd’s hooks. A beautiful addition to a bridal suite of jewels.